Home Off Beat	Area code and reminder tat too! This cool tat adorned by Michael was inked at Pete & Cuboâs Tattoo & Body Piercing in Queens. It reads 718-the area code (Queens and Brooklyn) where he was born and raised. 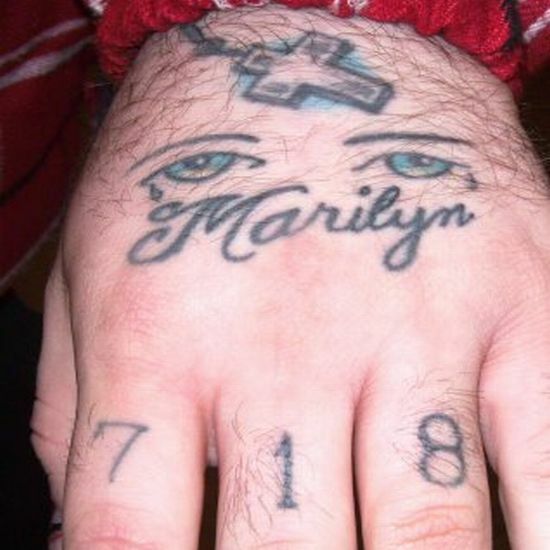 Also, there are Marilyn Monroeâs eyes that remind him of his path to sobriety. Monroe died of a drug overdose and this tattoo reminds Michael to stay focused on remaining clean. The half tattoo is the bottom of the rosary, whose thread runs the length of his forearm to just above the wrist.